We assume that, being a vegetable, the artichoke must be healthy but after learning that cooked artichokes have more antioxidants than any other vegetable, I will make sure I have 1 or 2 in the fridge at all times. 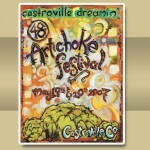 I love artichokes and, living in California, we are lucky enough to have lots of artichokes at the markets year-round. Nutritionally speaking, one large artichoke contains only 25 calories, no fat, 170 milligrams of potassium, and is a good source of vitamin C, folate, magnesium and dietary fiber. One medium artichoke even provides 4 grams of protein. Originally native to the Mediterranean region, an area known for it’s low rates of chronic disease and high life expectancy, artichokes are a big part of the Mediterranean diet. 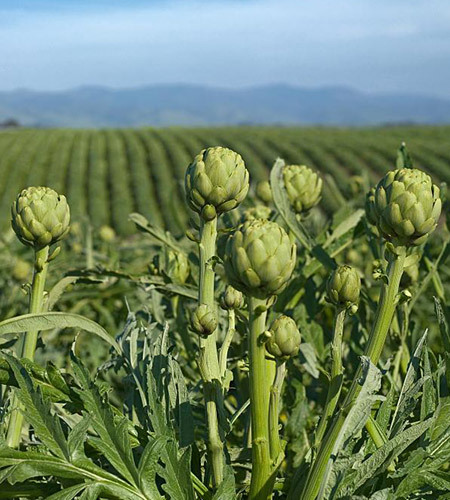 Did you know that 99.99% of all commercially grown artichokes are grown in California? 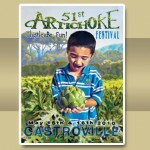 This celebrated vegetable actually has it’s own festival in the central coast of California, called the Castroville Artichoke Festival , usually around May. 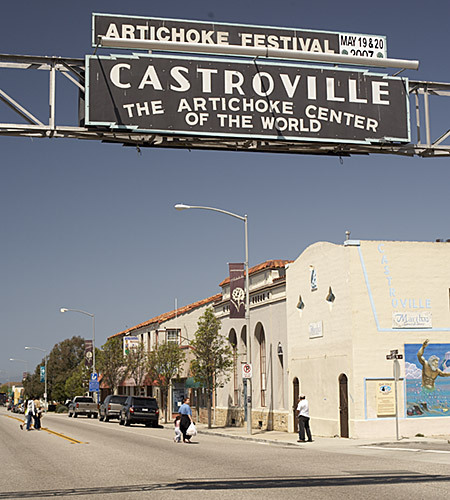 Castroville is located along the coast beside Monterey Bay. 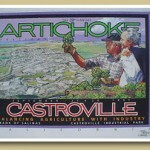 Here the ideal combination of soil, sun and fog provide the perfect growing conditions for artichokes, making Castroville the Artichoke Capital of the World. Artichoke Trivia to Impress Your Friends: Marilyn Monroe was crowned the very first Artichoke Queen in 1947. The posters that have been created for the festival over the years are really beautiful, creative and colorful! The California Artichoke Advisory Board, or better known as www.artichoke.org, has tons of information about virtually everything you might ever want to know about artichokes. It’s a great source for how to grow your own, where our artichokes come from and even where to go for a tour of an artichoke farm. They have lots of recipes, too, but most need a little veganizing. Restaurants offer artichokes prepared in many ways–dips, stuffed, grilled, breaded and fried–but, even though artichokes look kind of intimidating, they are easy to make at home. One trap to avoid, though, is to be careful how much oil, salt and calories you add to the artichoke in the form of dips and sauces. Jarred marinated artichoke hearts are delicious but be careful of the calories that come from the oil. Frozen artichokes are a great option as they are easy to cook with and are as low in calories as fresh. 3) Cut stems close to base. 6) Artichokes can then be boiled, steamed or microwaved. 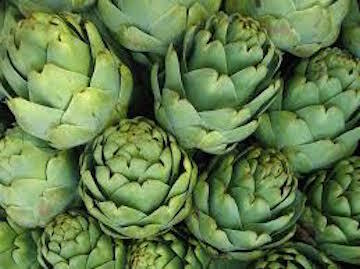 I usually steam them: Place prepared artichoke on a rack above an inch or two of boiling water. Cover and steam 25 to 45 minutes, depending on size, or until a petal near the center pulls out easily. Whisk ingredients together until smooth. Taste and adjust with more lemon juice if needed. 1) Wash artichokes under cold running water, cut off stems at base and remove small bottom leaves. 2)Cut off top quarter of artichokes; discard. 3) Spread leaves, remove center leaves and fuzzy centers with a spoon and discard. 5) Stuff bread crumb mixture between leaves of artichokes and fill centers. Place stuffed artichokes in a 9-inch square baking dish. 6) Pour 2 cups boiling water around the artichokes. Cover with lid or foil. 7) Bake at 350 degrees F. for 40 minutes or until artichokes are tender. 8) Remove artichokes from baking dish and place on rack; cool to room temperature. 1. Remove dark tough exterior leaves from artichokes. Trim stem end and cut off top of each artichoke, then cut in half lengthwise. Put artichoke halves in a bowl and cover with almond milk.. Leave to soak for 5 to 10 minutes. 2. Mix together flour, cayenne, 1 teaspoon salt and 1/2 teaspoon pepper. Drain artichokes, dip in seasoned flour to coat and put on a plate in one layer. 3. Pour 1/2 inch oil in a wide skillet and place over medium-high heat. When oil is wavy, carefully slip in artichokes one at a time, taking care not to crowd the pan. (Fry in batches if necessary.) Let fry gently until one side is well browned, about 2 minutes, then turn over and brown other side. Drain on paper towels. Sprinkle with salt. 4. Make the gremolata: Combine parsley, garlic, lemon zest, orange zest and capers. Put fried artichokes on a platter and sprinkle generously with the mixture. Serve immediately, with lemon wedges. 1. Cut each of the artichokes in half; remove the toughest outer leaves, use a spoon to remove the choke, and trim the bottom. 2. Put 3 tablespoons of the olive oil in a large, deep skillet over medium-high heat. When it heats, add artichokes, cut side down. Cook until lightly browned, about 5 minutes. Add stock (it should come about halfway up the sides of the artichokes), bring to a boil, and cover; turn heat to medium-low. Cook for about 20 minutes or until tender, checking every 5 or 10 minutes to make sure there is enough liquid in the pan, adding more stock as necessary. Sprinkle with salt and pepper, and transfer artichokes to serving platter. 3. Raise heat to medium-high and cook, stirring occasionally, until liquid is reduced to a sauce. Stir in lemon zest and juice and remaining tablespoon olive oil; taste and adjust seasoning. Serve artichokes drizzled with sauce. 2) In a blender, first add cashews, milk, lemon juice, garlic, salt, dry mustard, and pepper. Blend until very smooth. When using a high-powered blender, this will only take a minute or so. If using a standard blender, keep blending until very smooth. 3) Add artichokes and spinach and just PULSE through. Do not fully blend, keep some chunky texture! 4) Transfer to an oven-proof baking dish, and bake for 17-20 minutes. 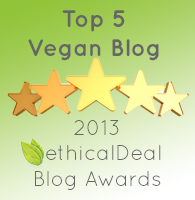 For more great vegan reading…. I am so grateful for this post. I love artichokes but never make them because I never knew what to do with them. Now I know! I can’t way to try these delicious artichoke recipes! And who knew artichokes were the official vegetable of California? Good article. Just wondering where the other .01% of artichokes come from! Hello there! Yes, we are lucky to have plenty of chokes in California! Thanks for posting all these amazing looking recipes!!!!!!!! 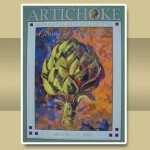 I found this link via Pinterest, trying to find recipes on how to cook an artichoke. I followed the breaded one and was really dissatisfied. The recipe tells you to remove the innards of the artichoke, which is the best part. Eating this was very messy and most of it was thrown away. A lot of preparation for a wasted meal. Hi Paula! My favorite part of the artichoke is the heart too! The recipe called for removing the center leaves and the fuzzy center, not the entire innards of the artichoke and, of course, not the artichoke heart. I’m sorry that was unclear! Another way to tackle it is to leave the insides alone, stuff the artichoke, bake and to serve. When the bread crumbs stuffing and the leaves have all been eaten, leaving the heart with the fuzzy layer on it, I slice off the fuzzies and then eat the artichoke heart, the best part, at the very end. I cook artichokes once or twice a week for an appetizer. I want them fast and tender on the ends. Two small artichokes in large pyrex pitcher with one inch of water and a little lemon juice added or rubbed on choke before microwaving. Start with six minutes on one side and then turn them over to keep them somewhat green and cook six more minutes. They may be cooked by then, but if not turn them again and try for another 3 or 4 minutes. Pull out a leaf and see if it is tender by eating the end. For a dip for the choke….I like low fat greek yogurt mixed with currry powder and a little dried seasonings like ranch house dressing or basil tomato dip package. These are good either warm or cold. Thanks for the wonderful suggestion! I would use the faux Greek yogurt made with coconut milk for the dressing though. But your method of cooking the artichokes looks simple and delicious! My favorite dip for artichokes is equal parts roasted garlic, Faux greek yogurt & veganaise, with a little lemon juice, salt and pepper. 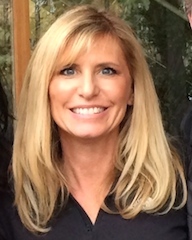 Also – when you have a minute, take a look at my company’s website, http://www.cortizza.com. 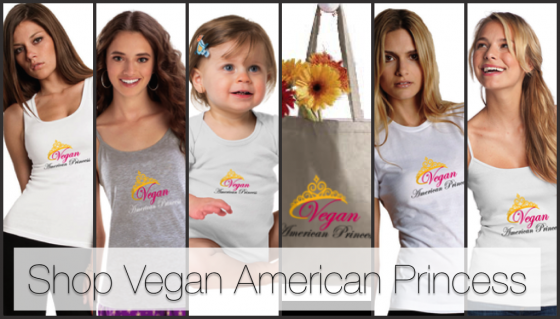 We sell beautiful, all vegan cork accessories for men and women. If you have never seen cork fabric/cork leather, you will be amazed! Cheers!